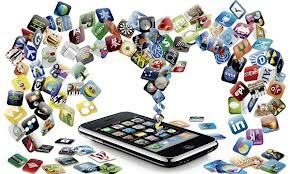 Applications (or “App”) development for smart phones, tablets and mobile devices is the new start-up. “Instagram” is probably the most famous app to generate riches for its creators when Facebook purchased it for $1 Billion. App games like “Angry Birds” and “Words With Friends” have also generated huge numbers of downloads are quite profitable for their developers. But you don’t need to be a number one, most downloaded app to make decent money. If you have ever had a great idea for an app, but didn’t know how to go about getting it from concept to revenue, here is an overview of resources to create your app. Another approach is to sign up for a mobile app developer boot camp that lasts from 3 to 5 days. These will take you through the complete process and you’ll have access to the instructors to answer any questions or help when you get stuck. A much quicker learning experience, but these can cost about $2,500 for a 4 day class. A final method to getting your idea into a product is to hire a developer. Expect to pay a minimum of $5,000 to get the first concept completed. A finished product, ready for release can cost from $15,000 to $50,000 depending on the complexity and number of revisions required. In addition to researching developers on the web, it’s good to meet them locally, in-person, at networking and recruiting events. Check listings in your areas for “Tech Weekends”, “Start-Up Weekends”, “Hackathons” and “App Incubators”. Another excellent resource to find app developers is your local college or university. With all the resources to create your app available, it’s just a matter of writing down the concept and sketching out what it will look like on the mobile screen. If you found this article interesting and informative, please be sure to sign up for our newsletter for the best tech right to your in-box.